A wood panel makes up the rounded square of the back of the Jennings Swivel Stools. The round wooden seat and the back are both distressed walnut while the rest of the stool boasts a brown metal finish. The Metal Stools Swivel Bar Stool with Wood Backrest by Hillsdale at Great American Home Store in the Memphis, TN, Southaven, MS area. Product availability may vary. Contact us for the most current availability on this product. The Metal Stools collection is a great option if you are looking for Contemporary furniture in the Memphis, TN, Southaven, MS area. 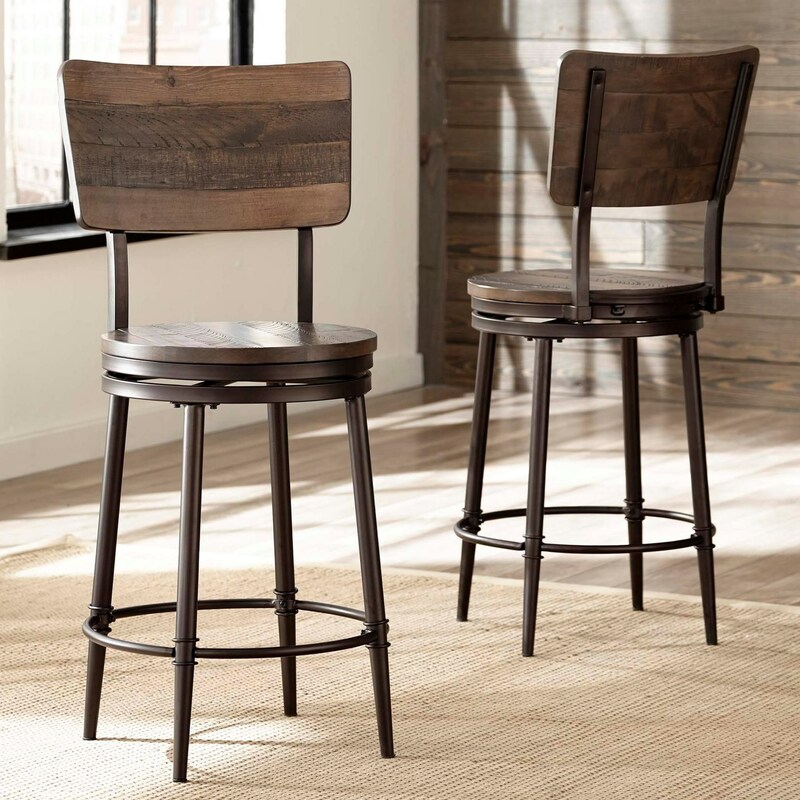 Browse other items in the Metal Stools collection from Great American Home Store in the Memphis, TN, Southaven, MS area.